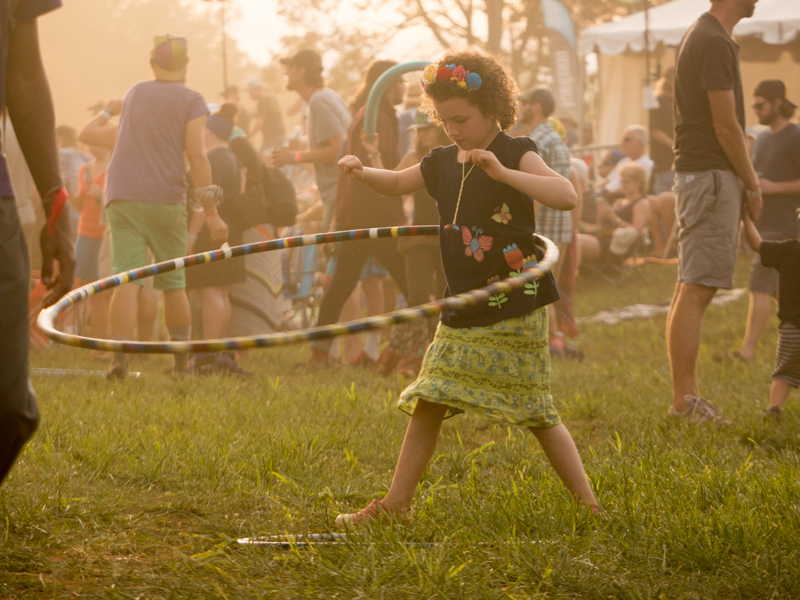 The sun was shining, the hippies were singing, and it felt like we had a little piece of festival paradise to share with over 5,000 people at this year’s The Festy Experience. 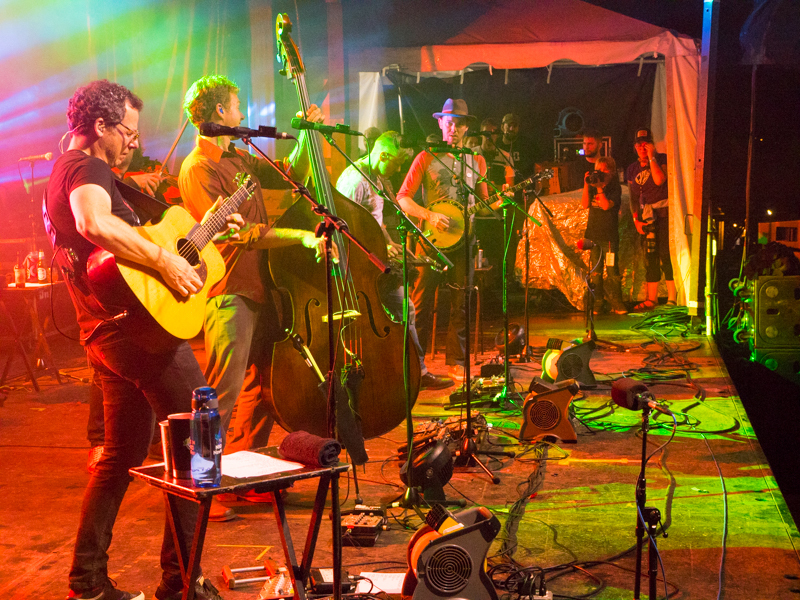 The Festy is a gathering of incredible artists in Nelson County, Virginia in early October. 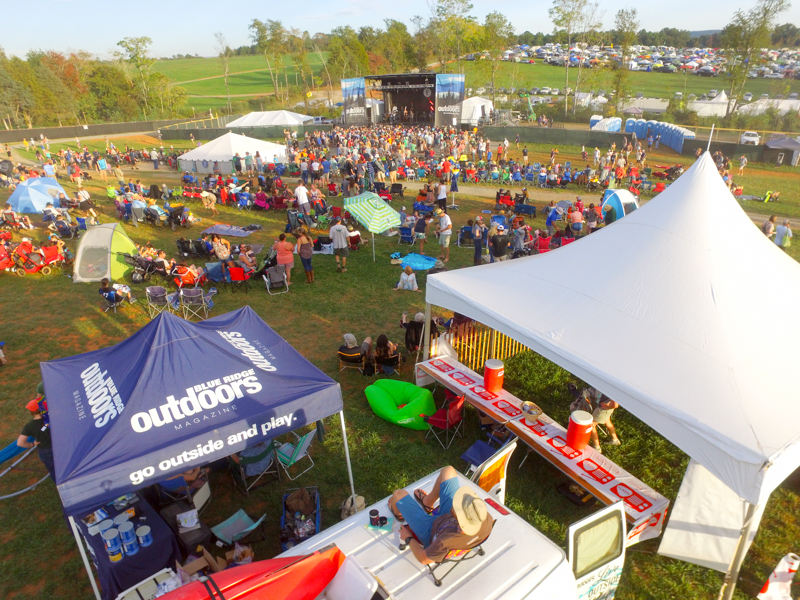 You would think that would set you up for crisp air and cool nights to enjoy bluegrass on three different stages, but mother nature had a different plan. This Festival was full on happy sunshine and hot vibes and only let up on Sunday when drizzle blessed the sweaty, sunburnt faces of festival goers. Now that the scene is set- let’s dive in! With a quick set up of the Blue Ridge Outdoors tent near the main stage, Ben and I settled into our chairs and prepared for four days of festivities. Thursday night, festival goers were already showing up to our tent to grab a magazine and check out sweet swag from our sponsors. 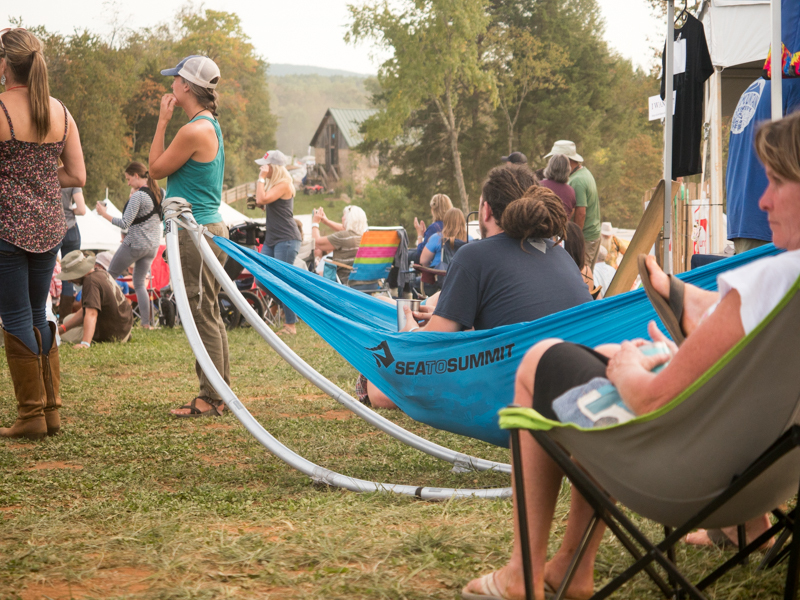 The tunes echoed into the Virginia hills and the mugginess finally broke to reveal a calm evening for the super dedicated Festy Experience attendees to begin the boogying. Because of it’s proximity to Charlottesville, plenty of the Blue Ridge Outdoors office employees made their way down to Nelson County to keep us company. We also ran into a few different friends from festival’s past. We’ve unknowingly become part of a festival community that has reunions every weekend. The next few days were filled with incredible artists, intriguing workshops (mushroom growing anyone? ), dancing with friends, and too much nitro coffee. Saturday morning was reserved for the 21st Blue Ridge Burn, a 5k/10k run that raises funds for Southern Environmental Law Center. Runners of all ages lined up to race across the rugged, rolling hills of Nelson County. 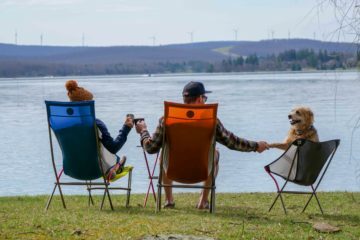 This festival is well organized, has activities and a large play area for kids, and keeps mother nature in mind. Everyone gets one stainless steel cup when they arrive and that’s your drinking vessel for the rest of the festival. There is ample separated recycling, and free filtered water provided as long as you bring your own cup. The grounds stayed clean and everyone respected the space. Once the tunes had finished, smaller jam sessions popped up among the trees in the campgrounds. When the love for bluegrass is strong, it will be played at all hours of the night. 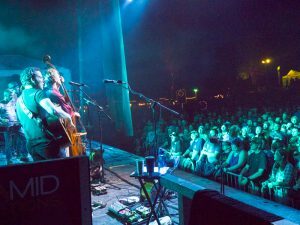 The Roanoke GO Outside Festival is up next. 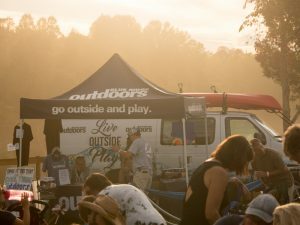 Come find the Blue Ridge Outdoors tent and say hello! As with every event we attend, we will be repping our sponsors and their awesome gear! 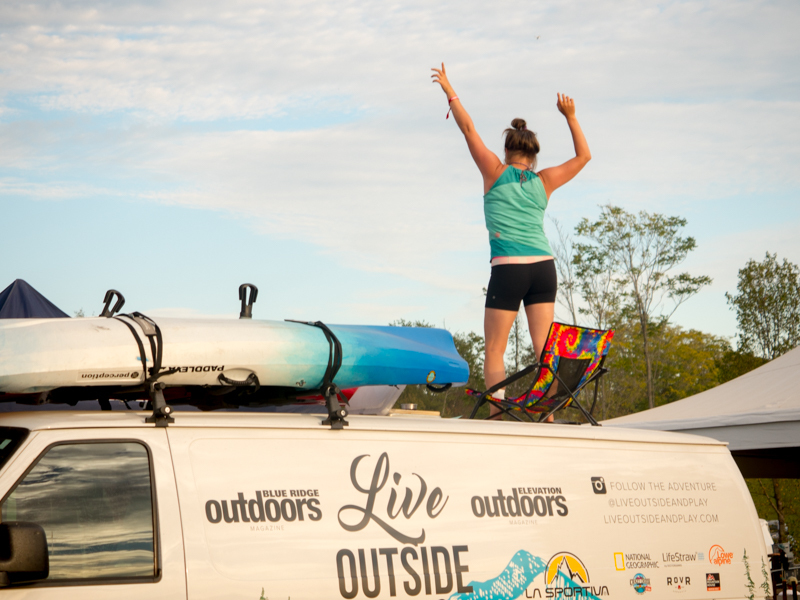 You can check out first hand what we use on the road to live outside and play, including gear from La Sportiva, Crazy Creek, National Geographic, RovR Products, Sea to Summit, Mountain House, LifeStraw, and Lowe Alpine.